This architectural home was meticulously updated in 2018. The light filled rooms are set up for comfort and spending quality time with people that are dear to you. Our concierge can help you with services and curated activities to personalize your stay. Enjoy the best Venice Beach has to offer - It's cheaper than you think. The ‘walk score’ is a term used by realtors to determine the quality of life without a car. Twin Palm achieved a 100% score being within 10 mins of walking everywhere. Great home! Short walk to Venice Beach. Lots of space. Exactly as described. Would recommend to friends. The home is spectacular! We really enjoyed our stay. The home is spacious, comfortable, clean, and the location was excellent. We highly recommend it. A spacious, Bauhaus-style town house on a quiet street within easy walking distance of restaurants, shops, and the beach, The house was an elegant and comfortable base for my family of five during our stay in LA. This was a great place for our needs. Walkable to beach, boardwalk, Abbott Kinney and lots more. Would definitely stay here again. Great location and great space. Collin was incredibly easy to get in touch with and gave us some great restaurant recommendations! This Venice house is beautiful and minutes away from Venice's best features. Loved that we could stay so close to the best restaurants, canals and beach. All for a great price and a great host! 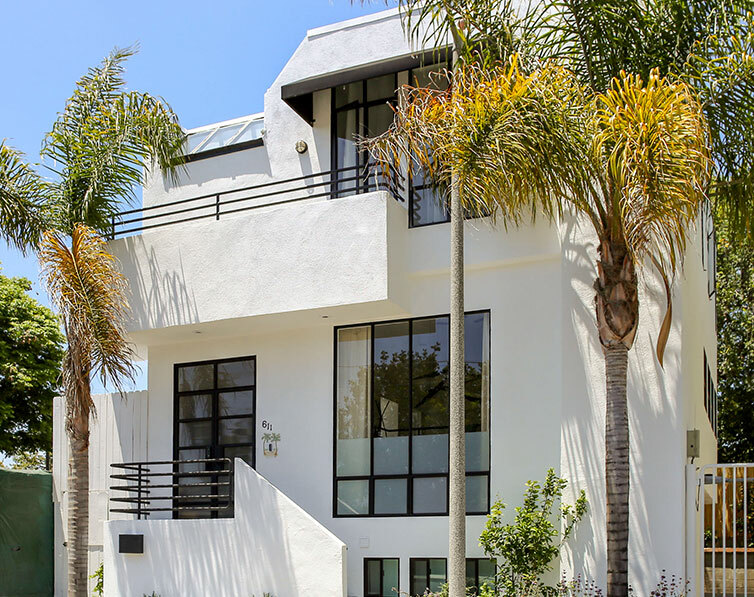 This is a very spacious, high end, connective home, very close to Abbot Kinney, great food, the canals and the beach. Highly recommend for business travelers as well!